Get lost in our floor-to-ceiling digital art wall that blends vibrant visuals with interactive activities that entrance curious kids of all ages. At Pineapple Bistro & Bar, you can enjoy tasty classics, crisp pizzas from a wood fired oven, or build your own mac and cheese masterpiece. Want to enjoy a relaxing drink? Choose one of our crafty cocktails or have our friendly bartender create a new favorite for you. Sip in comfort with ample seating that includes a stylish community table and u-shaped bar that are perfect for socializing, all in a captivating atmosphere that is whimsical, artistic, and sure to make you smile. 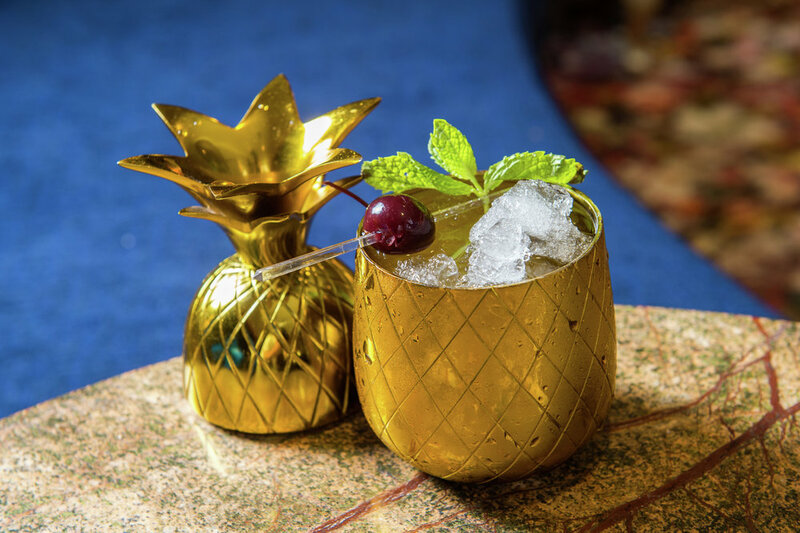 Pineapple Quick Bites and crafty cocktails in a place you actually want to hang out! We have a fully stocked bar and can make nearly anything your taste buds desire. We make our own Pineapple Infused Vodka and have several cocktails featuring that tasty liquor. Or ask your bartender for a cocktail list. From the beginning, The Maxwell Hotel was designed as a celebration of the living arts. That’s why we’re excited to be hosting local Seattle artists weekly in the Pineapple Bistro & Bar’s lounge - a colorful and vibrant space perfect for enjoying a cocktail and live music. Feel free to check out our performance calendar, and we hope to see you soon! Perfectly located in Seattle's Lower Queen Anne neighborhood, Pineapple Bistro & Bar at The Maxwell Hotel is just steps away from some of Seattle's top art venues and Key Arena. This makes it the ideal place for a pre-performance bite and a cocktail, or a perfect nightcap to end the evening. Whether it’s a small gathering or group of 200, we can make your perfect get-together a reality in a private space or our colorful, interactive lounge. To get more information or to reserve Pineapple Bistro & Bar for your event, contact sales@staypineapple.com or 206-823-3903.